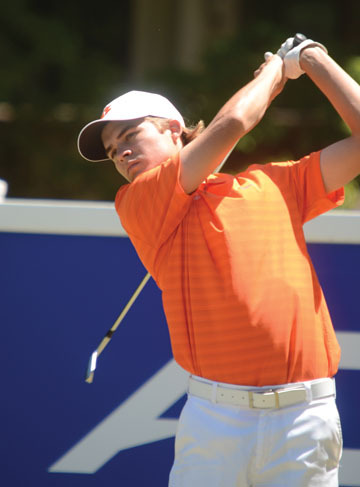 Clemson junior Austin Langdale is one of four Tigers on the All-ACC team. 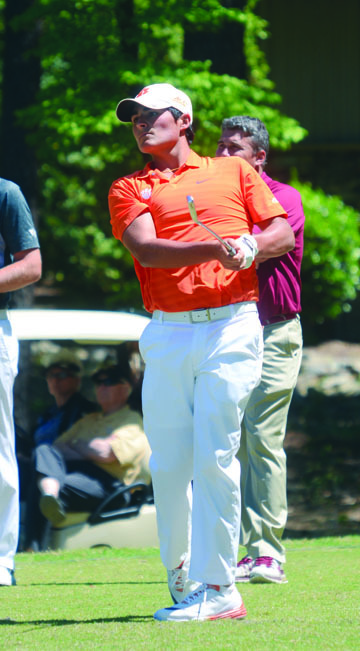 The Clemson Tigers begin NCAA Regional play on Monday at a course where the golf team had its greatest success. The Tigers tee off at the Karsten Creek Golf Club in Stillwater, Oklahoma. The Oklahoma State golf course is the course where the Tigers won their NCAA Golf Championship in 2003. 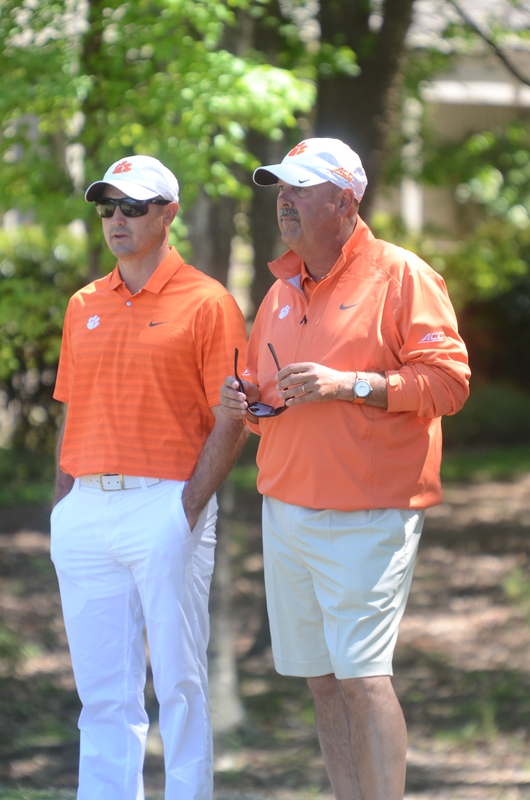 “I know a little something about that golf course,” said Clemson head coach Larry Penley. “I kept all my notes and all my yardage books,” he added. 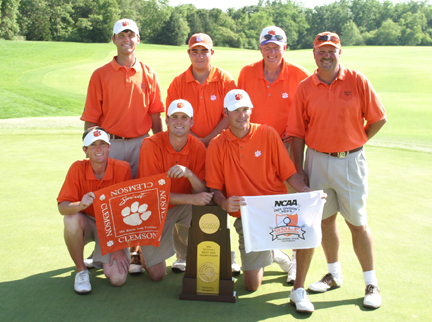 Clemson’s 2003 National Championship team won the title at the Karsten Creek Course. While this is not the NCAA finals as it was in 2003, the Clemson coach is hoping this year’s team can play as well as his championship squad. D.J. Trahan, Matt Hendrix, Greg Jones, Jack Ferguson and Ben Duncan won the title that year for the Tigers. Penley’s Tiger golf team is the second seed at the regional. The host team from OSU is top seed in the region. Clemson enters the tournament ranked fifth in the country in some polls. Carson Young was named to the All-ACC team. Ranked in the top five teams shows the progress the Tigers have made during the 2015-2016 season. “I think winning the conference opened some eyes. We have come a long way from the fall when we where ranked 18th or 20th,” said the coach. The ACC championship was the 10th for the Tigers. It was also the ninth title won by a Penley coached team at the school. The top-five teams from the region advance to the national championship in Oregon later this month. The Clemson coach expects the consistency his team has displayed this year to help the Tigers advance to the finals. 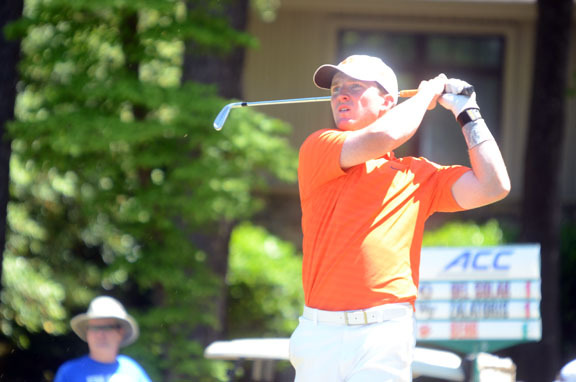 Stephen Behr won the Byron Nelson Award and is a member of the All-ACC team. “We’ve done a good job of solidifying our lineup. We don’t have a dominant number one player, but we have five players who are each capable of winning a golf tournament,” Penley said. Clemson coach Larry Penley was named the ACC Coach of the Year for the eighth time. The Tigers take a handful of honors with them to the NCAA Regional. Penley was named the ACC coach of the year for the 8th time in his Hall of Fame career. Clemson placed four players on the 12 member All-ACC team, the most for any school. Austin Langdale, Carson Young, Bryson Nimmer and Stephen Behr all were named to the All-Star squad. The last time Clemson placed four players on the All-Conference team ironically was in 2003 when they won the national championship. 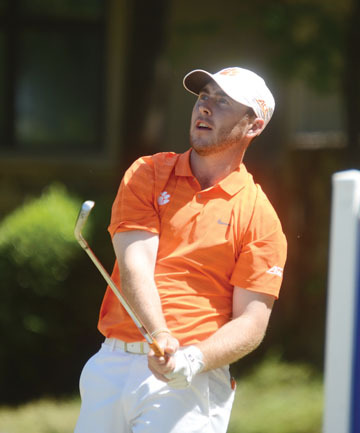 Bryson Nimmer made the All-ACC team and was named the conference Freshman of the Year. Freshman Bryson Nimmer earned an additional honor by being named the conference Freshman of the Year. He joins PGA Tour players D.J. Trahan and Kyle Stanley who also won the award in their first year playing for the Tigers. “We are playing a big boy golf course. We have got to hit the ball in the fairway and we can do that, but it is not going to be easy,” concluded the Clemson coach.